I welcome all colleagues to the July 2010 Issue of NeltaChoutari. The theme of this issue is learner and teacher autonomy. The articles published in this issue have focused on the correlation between learner and teacher autonomy. Learner autonomy is concerned with developing learners’ ability to explore ideas through various means, discuss, analyse, and evaluate them, and develop their own view points towards a particular issue. It is a process in which students are actively involved in a constant negotiation of meaning through interaction with friends in the classroom to identify common views among diverse voices. Moreover, in learner autonomy, learners take active role rather than being a passive recipient of what teachers say in the classroom. To be specific, an autonomous leaner is critical, exploratory and independent. But it is true that without being ourselves autonomous teachers (described below), we cannot make our students autonomous learners. Two articles What is Learner Autonomy and How Can It Be Fostered? (Thanasoulas, 2000) and Learner Autonomy: Bird-in-the-hand or Bird-in-the-bush? (Sheu, 2001) have been included as lead articles. The first article defines learner autonomy, discusses theories underpinning it and provides some practical activities for fostering learner autonomy. Learner autonomy is defined as a learning process in which learners learn independently. It is learners’ ability to cope with process of learning utilising their own learning styles. In this regard, Thanasoulas (2000) argues that an autonomous learner is an active agent in the learning process. Likewise, Little (1991:4) defines it as “a capacity for detachment, critical reflection, decision making, and independent action.” Heather Ashley Hager discusses the Win-Win Approach as an approach to resolve dispute and develop critical thinking skill which are important aspects of learner autonomy. She also discusses how our effort to foster critical thinking and dispute resolution skills in the classroom makes a great impact in politics and social development. In learner autonomy, learning is considered as a constructive process in which learners actively participate in exploring meanings which fit in their world views. Learners are not passive recipients of knowledge but an important source of constructing new knowledge. In this sense, in the autonomous learning process, the bottom-up process in which learners are put at the centre is adopted rather than the top-down in which teachers seek to transmit what they have in their head to the students. Thanasoulas further says that “Learner autonomy consists in becoming aware of, and identifying, one’s strategies, needs, and goals as a learner, and having the opportunity to reconsider and refashion approaches and procedures for optimal learning.” This clearly tells us that learners must be aware of their own learning styles or strategies. This implies that without identifying the needs and goals of learners, teachers cannot facilitate them towards being an autonomous. With an extensive review of the literature on learner autonomy, Thanasoulas argues that the objective of language teaching should be to produce an autonomous learner. Without promoting autonomy, we can, of course, question or doubt on sustainability and effectiveness of any language teaching program. He also discusses activities (e.g. self-reports, diaries and so on) that promote learners autonomy. The activities mentioned in the article can be used in our own teaching. For details please go through the article. However, learners’ beliefs and attitudes towards learning, teachers and themselves are very important factors to shape learner autonomy. For example, in my contexts learners expect notes through dictation, as mentioned by Madhu Neupane in her article in this issue of NeltaChoutari, from teachers and they consider teachers’ ideas as a final source of knowledge. Even the master’s level students do not go through the books prescribed in the course. They ask teachers to give notes. They never ask questions in the classroom. This is the continuity of how children are taught in schools in Nepal. When I was in school, I was never asked to read the passages and discuss with friends to answer questions based on the text. Teachers used to give us answers. Moreover, I was never asked to write a paragraph or essay myself. Teachers used to dictate us all essays on discipline, value of time, river in Nepal etc., for example and we should parrot them line-by-line. This is similar to what Ashok Raj Khati shares in his article in this issue. The same learning style gets continuity upto higher level. In another article, Sheu (2001) opines that the degree of learner autonomy is not only an individual process but it is determined by the whole teaching system. I agree with him. For example, my students are not motivated to learn themselves independently. There are two reasons behind this. First, the whole evaluation system of university is so limited that students’ performance is evaluated on the basis of a 4-hour written examination in which they have to answer the structured questions asked from the syllabus. They cannot put their views and critiques. They have to write what the teachers say but not their own judgement and opinions. Second, teachers have to finish the whole course within a limited time frame. So they focus mainly on finishing the course by delivering lectures and giving notes rather than involving students in independent works. Moreover, as the students are evaluated on the basis only what they score in the examinations, they do not see any relevance of reading more books, articles and judging them from their own perspectives. Sheu, referring to Smith (2001), argues that learner autonomy is correlated with teacher autonomy. If teachers do not believe in the exploratory learning, involve students in classroom interaction, try bringing changes within the teaching system where they work, and have their own idiosyncratic way of teaching for better learning of students, there is no point in discussing the value of learner autonomy. At the same time, teachers can be an agent of change by giving students active role in the learning process. This implies that teacher autonomy is important for learner autonomy. Learner autonomy is not only individual but also social. And it is not only a product but also a process. We cannot produce a 100% autonomous leaner. Autonomy always remains in degree and process. In order to enhance autonomy, learners need to be engaged in interaction in which they get chance to negotiate their views. At some point, I find that the concept of learner autonomy is sometimes contradictory with the concept of learning through interaction and collaboration. This tension is intense if we take learner autonomy as an individual. To sum, the theory behind learner autonomy has to integrate social-cultural factors too. A discussion on process vs. product of learner autonomy has to be backed up by some empirical studies. The ways teachers present themselves in the classroom also determine the degree of learner autonomy. I hope the articles in this issue will help colleagues to explore further issues of leaner and teacher autonomy in their own contexts. I expect that colleagues will come with new ideas on learner and teacher autonomy. Thank you to all contributors of this issue of NeltaChoutari. Welcome to the June 2010 issue of NeltaChoutari Webzine! We have always tried to work around a particular theme in each issue and collected contributions that go along with that theme. 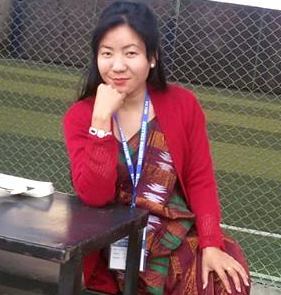 Contrarily, we receive the contribution from the authors who address diverse issues in English teaching in Nepal and some write ups go beyond English teaching to general issues of education and pedagogy. This time as well, we received articles that discuss varied and important issues in education. I believe this diversity is a more valuable asset to address the tastes of our audience who have different academic and professional interests. The first post by Laxman Gnawali on teacher development emerges from his own experience of observing his teacher after a professional development course and his own academic degree in the UK for his MA. His convincing arguments with his narrative based on his real life experiences prove helpful to reinforce the NeltaChoutari’s mission to localize and situate language teaching profession that connects teacher training and professional development program with the teacher’s lived experiences in the local contexts. Bishnu Mani Thapaliya in the next article has raised a very important issue of challenges that English language teaching profession is facing in public schools that are located in more rural areas where teachers and students do not have necessary instructions, let alone the tools of technology. His arguments make our editorial team as well as the English teaching community to rethink our ways that technology can bridge this gap. Thapaliya also raises another critical issue that English is serving differently for different socio-economic class people: those who can send their kids to private, well-equipped schools versus those who send their kids to public schools where they mostly learn English from a translation method. Thapaliya also raises another critical issue of how and to what extent our rural teachers can participate and benefit from the type of professional discourse we have initiated online. Another post by Lekhnath Sharma Pathak outlines the importance of Student Quality Circle- a student centered, action-oriented approach to address student issues in schools- in schools in Nepal. Pathak convingly argues that these types of circles promote cooperation and problem solving nature among our students in schools where they have traditionally been more oriented toward competition. His writing is able to look at our teaching from a macro perspepctive where we aim our instruction not only to develop basic four skills of language for communication; we in addition have to aim for more social skills like cooperation, team work and excellence in our students. Another post by Eak Prasad Duwadi draws on his teaching experience in different contexts. I have also provided an MP3 audio on Information Technology in Nepal broadcast by the BBC Radio Nepali Service. The last item provides a link for a teacher resource for managing discipline probmels in a classroom but I refrain from generalizing it as a universal teaching tip; it, however, certainly is one of several ways to handle discipline in classrooms. Enjoy the readings and leave your feedback. You are reading the special Surkhet issue of Nelta Choutari April 2010. This issue focuses on the Surkhet segment of Nelta International Conference. We request you to encourage the great work done by our Surkhet colleagues in collaboration with Nelta executives and those who made it to Surkhet for this great event. Please kindly leave a comment–let the conversation continue. The traffic on this blog is incredibly encouraging. Let us make the conversation encouraging as well, so please leave a comment on the posts. The first issue of our second year, which featured an interview with the President, marked a milestone for monthly ELT discussions on this blog. It is not the technology, the channel, that did the real magic–it is the substance that flowed through this channel, the interest, the contribution you made. This is just a blog, and with the advent of web 2.0 technologies, any individual or a group of people can publish their ideas in mediums like blogs, wikis, discussion forums, etc–that’s not the hard part. The hard and important part is our involvement, the quality and quantity of our discussion, the relevance of the substance to the stakeholders, and a professional culture guiding our conversations. NeltaChoutari–which has now become a part of Nelta Networking (see entry 1)–has done that magic because a rapidly increasing number of Nepalese ELT professionals have started discussing serious issues here, the traffic has become significant, and despite the technological and material challenges across the country teachers from the branches are directly contributing and participating in the discussions. Let us work together to bring about even more involvement from our colleagues from the branches, the center, and abroad. On behalf of the larger Nelta Networking team led by Kamal Poudel and as the person assigned to facilitate the monthly issues and discussions on this blog, I would like to thank Nelta Central Committee for recognizing and expanding the networking possibilities, a vision that everyone of us should appreciate Nelta for. Please make sure to contribute your suggestions about the networking initiative, especially how we can increase the involvement of our colleagues from the branches. Please also leave suggestions for Bal Krishna about the project on resource building: what resources would best benefit you? And, very important, please take a moment to say hi to Surkhet, or ask a question, or segue into a scholarly ELT issue. Anyway, please write something, for if you expect someone else to comment, too many people will miss one great idea! Globalization—or the flow of economic, educational, cultural, and other “materials” across national borders—has radically changed people’s lives and societies around the world. Those materials are sold/bought, used/misused to affect communities around the world in all kinds of ways. In the case of education, globalization involves the flow of products of knowledge through channels of power; in local, national, and global markets, knowledge flows in the form of learning materials, teaching methods, attitudes about what counts as legitimate knowledge, subjects in schools/universities, and so on. For teachers like us must take seriously this commodification and flow of knowledge when the globalized market of knowledge makes the knowledge of some societies flow into others and not so much vice versa. In the case of ELT, English language—which is not just a neutral means of communication among societies but also the vehicle of cultural and political power—flows from centers of global cultural power into most other societies around the world whose languages and knowledge are not yet as economically and culturally valuable. That is why a vast majority of people in the developing world, along with a lot of well-meaning English teachers, believe that there is such a thing like English education (as if knowledge speaks in one particular language). It is very true, as things are in the world of raw facts, that English is a more valuable ingredient for the manufacture of more valuable cultural products. Also, it is because English language is commodified that many people think there are no alternatives to buying it and then selling it at a higher price to others. But teachers should never be people who simply accept and teach the raw facts and maintain the status quo. By rethinking how we can challenge the one-way center-to-margins flow of intellectual, cultural, and social power in the world, teachers can contribute to the making of a better world. No one would have to worry if the commodification of English did not intensify the divide between people who can and cannot afford to buy it. Nor would even just that be a big problem if the supermarket of English didn’t also destroy the small bazaar of local products of knowledge. One argument or underlying assumption many English teachers fall victim to is that if we can teach English to everyone, then everyone will be better able to sell their knowledge for their own progress as well as survival. Well, the problem with that simple-minded dream is simply that it doesn’t acknowledge that your supermarket is neither buying from the local farmers of knowledge nor selling them anything at affordable prices, the idea of the market has to be regarded more critically. That is where national governments, local entities, and professional organizations intervene for justice for all. One of the many solutions to that reality which many of us don’t even believe we can solve (or that it is our job) is to not only work in the supermarket and enjoy its paycheck but also to help local farmers modernize the local agriculture of knowledge-making with the aim of making the supermaket make the local produce its best commodity. The supermarket is blind: teachers need not be slaves to that blind master. There is no point in opposing this global company of English. It is only reasonable to buy most of the stock of its regional stores in our own localities.